Nokia issued a statement challenging Apple's proposal to the European Telecommunications Standards Institute (ETSI) for a new SIM card standard, the 4FF, commonly called the nano-SIM. The tiny nano-SIM, designed by Giesecke & Devrient, is Apple's attempt to define the future standard for SIM cards in Europe, and if the push succeeds, all other manufacturers will have to incorporate the design into their devices. Nokia, Motorola and RIM have teamed up to submit an alternative proposal to ETSI and Nokia put out the statement to explain why Apple's just won't do. Nokia's claim is that the Apple proposal fails to meet ETSI's prerequisite that the new design eliminate the possibility of getting stuck in a micro SIM slot, and thus avoiding damage to both the card and the device. Because the nano-SIM is the same length and width of a micro SIM, that potential would still exist. The other criticisms of the Giesecke & Devrient design are based on the fact that the card would require a tray that would slide into the device, much like Apple's current method of inserting SIM cards into their iPhone. Aside from the weak argument that a trayless SIM would be easier for end users to insert, Nokia contends that the need for a tray would increase the production cost of devices. This is a minor deal when it comes to high-end devices, but potentially significant when trying to develop lower price point ones. Furthermore, the statement says, that the tray design puts limitations on form factor design. 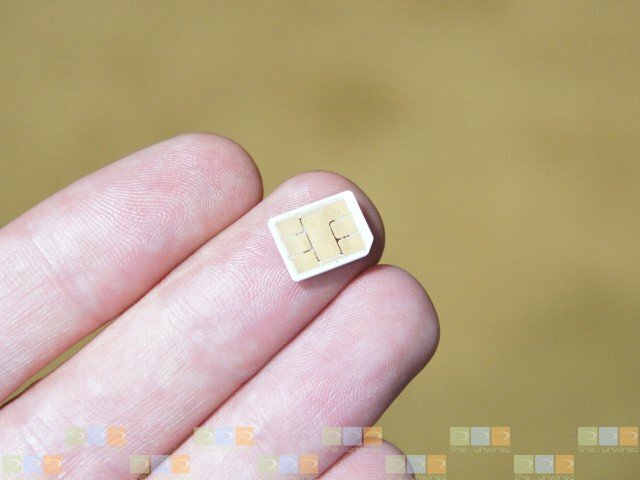 The Nokia/Motorola/RIM-proposed SIM is smaller and requires no tray, therefore opening the door to further miniaturization of future devices. Nokia may have some legitimate gripes about the what Apple has submitted, especially if it does not meet some of the requirements set by ETSI. Apple is sure to fire back in some fashion, though time may be running short, as the vote on the design could happen as early as next week.